The Ford Fireworks will light up the Detroit riverfront on Monday, June 25, celebrating 60 years of the summertime tradition. 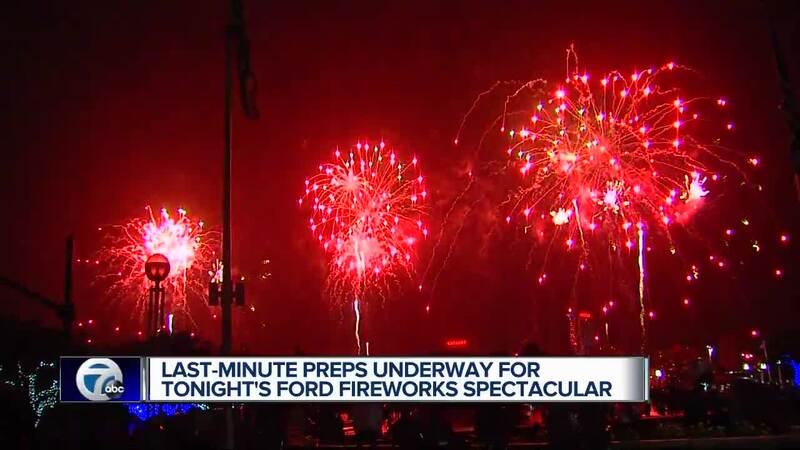 Produced by The Parade Company, the fireworks are set to kick off at 9:55 p.m.
"It is an honor to be part of a tradition that has become an international signature for summer and the city," said Jim Vella, president, Ford Motor Company Fund, the philanthropic arm of Ford Motor Company. 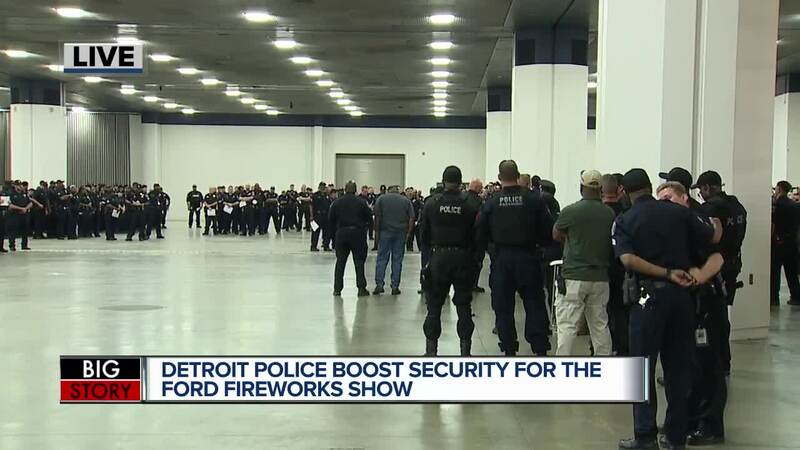 "Few events bring families and communities together like fireworks, and we are proud to share the excitement of the Ford Fireworks with all the people of Detroit and southeast Michigan." Hart Plaza is a fan favorite for firework viewing. Those who plan to attend should plan to arrive early, once capacity is reached the grounds will be sealed off. If you leave, you won’t be allowed to re-enter. Tents are not allowed, neither is alcohol, drones, pets or weapons. Cooking is prohibited inside Hart Plaza. Police note that backpacks and coolers will be searched. Belle Isle will be closed to vehicle traffic until 2 p.m. Those who drive onto the island will need a Recreation Passport, if you do not have one you can purchase one for $11. Only 3,000 vehicles will be allowed entrance onto Belle Isle. Alcohol consumption is prohibited on the island, however tents and canopies will be allowed. RV parking is available on the paddock area near the casino. If you can’t make it to Hart Plaza or Belle Isle a trio of parks are worth checking out: Mt. Elliot Park, Owens Park and Erma Henderson Park are all good viewing spots. Parking meters will not be enforced after 5 p.m. on June 25. Drivers will still have to observe normal parking restrictions, such as, parking in front of fire hydrants, blocking alleys, or parking in designated handicap zones without proper credentials. Woodward Avenue between E. Jefferson and Park, as well as between Park and Temple, will be closed completely. East Jefferson will be closed completely between Larned and I-375, along with Griswold between Michigan and E. Jefferson. Parking in front of fire hydrants and bus stops or blocking driveways and alleys. In addition, motorists should be reminded that cars can travel in the same lane as the QLINE but should not park on the tracks. Cars that are parked on or blocking the track will be ticketed and towed. QLINE service will end southbound at the Sproat Station and begin northbound at Adelaide starting at 6 p.m. on June 25. QLINE will run its standard weekday hours, running until midnight. Towed vehicles within the downtown area will be held at 2121 W. Fort Street. Vehicles towed on Belle Isle will remain on the island. Free shuttles to tow lots will be available from 4 p.m. – 1 a.m. Tow lots close at 1 a.m. The fee for towing is $215. All the main streets – Michigan, Grand River, Gratiot, E. Grand Blvd. and W. Grand Blvd. – will remain open to allow motorists access to freeways. Woodward will remain open north of the Fisher Freeway service drive. The City will enforce a curfew for minors, ages 17 and under, that will be in effect from 8 p.m. on June 25 until 6 a.m. on June 26 for the area bounded by the Detroit River, Third Street, Lodge Freeway, Fisher Freeway, the extension of Fisher Freeway east to Gratiot Avenue, Gratiot Avenue, Vernor Highway, Chene Street, Atwater Street and Chene Park. Minors are welcome to view the fireworks from any approved public area. However, for their safety, minors must be accompanied by a parent, legal guardian or other responsible adult (age 21 or over) if they choose to view from within the curfew boundaries. Minors will be allowed to travel to and from work, school, church or organized activities. Minors in violation of the curfew will be taken to the Coleman A. Young Recreation Center, 2751 Robert Bradby Drive. Minors will be held there until picked up by a parent or guardian. The parent or guardian also may receive a parental responsibility violation ticket. East of I-375 – Martin Luther King High School – 3200 E. Lafayette Blvd. The Detroit People Mover (DPM) will operate from 6:30 a.m. – midnight. After 2 p.m. trains will stop at the Renaissance Center Station, however only guests staying at the RenCen Marriott and Courtyard Marriott hotels will have access to the facility with appropriate ID. All other patrons must exit the DPM Renaissance Center Station by the station’s stairwell or tower elevator (ADA accessible) to Jefferson Ave.
All other DPM stations except those named above, will remain open to the public until close. The People Mover fare is 75 cents per ride, and children ages five and under ride free. For more information, go online to www.thepeoplemover.com [links.govdelivery.com]or call (313) 224-2160.Click to edit this placeholder text.